Gambling on the internet is a growing business in the United States. These words sound strange, because currently, online gambling is legal in three states: New Jersey, Pennsylvania and Nevada. However, the number who gamble online illegally is in the millions. The amount of money spent by Americans gambling illegally online is over $100 billion. The Department of Justice seems ready to move to decriminalize online gambling. However, banks in the United States are not as prepared to allow transfers in and out of its customers’ accounts. 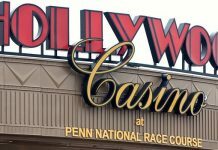 Gambling researchers say that the United States moved to shut down online gambling before it really got off the ground. It passed legislation to make it illegal in 2001. Congress has also said that the Wire Act passed in the 1960s governs online gambling transactions as well as all forms of money transfers. However, all of this legislation flies in the face of the scope of online gambling in the United States. Researchers state that most Americans who bet online do not think of it as being illegal. Gaming companies are online and easily available all over the United States. The vast majority of gambling websites in the United States are located offshore. Companies that are located offshore are not subject to the rules and regulations of United States law. 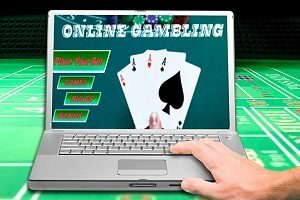 Researchers have noted that any form of gambling customers could want is available is online. Patrons can play casino games like roulette, craps, poker and online slots. They can also place sports bets as well. Most of the online companies can take payments via credit card or bank transfer. In addition, some websites also take cryptocurrency. The report done by the Department of Justice states that the sheer scope of internet gambling makes it impossible to get a handle on. Since the companies are located offshore, there is nothing the government can do to stop online gambling. The government, in looking at the 50-year-old Wire Act said the law does not cover internet gambling at all. The technology that powers internet gambling did not even exist at the time the bill was passed. 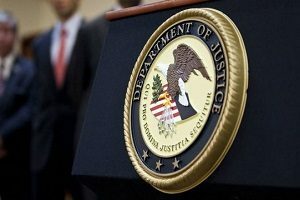 The Department of Justice said that the only time its lawyers could use the Wire Act to prosecute internet gambling companies is to prosecute companies who allow sports betting. Companies who do business in contests for money could also be prosecuted by the government. While the Justice Department’s position on internet gambling has changed, large banks have not changed their minds about internet gambling and transfers in and out of client’s accounts. The major United States banks feel they fall directly under the Wire Act, because they do electronic transfers into and out of bank accounts everyday. The large banking companies: American Express, Bank of America, JP Morgan Chase and Wells Fargo are not in agreement with the government. The banks have said that there are two reasons they don’t agree with the Department of Justice. First, the banks believe that because money transfers still happen via “wire”, they fall under the guidelines of the Wire Act. Second, unlike the government, banks can be sued by citizens. The banks feel that online gambling companies are a gray area. When a gambler loses money at a casino, and empties his or her bank account, banks are protected from suits. The banks get protection from lawsuits in cases of problem gambling because they already have limits in place to prevent gamblers from withdrawing all of their money. However, online gaming is different. 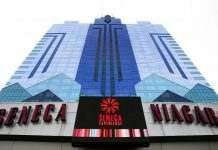 Because it is not legal, many banks do not feel they have protection from lawsuits if gamblers lose big. It remains to be seen if the government will alter the laws regarding online gambling any time soon.